This article concerns the Israelite. For the post-diluvian patriarch, see Salah. 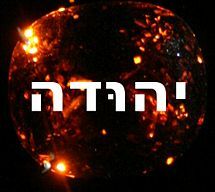 Shelah (Hebrew: שלה, Shēlāh; "Name means::request") (b. Born::Abib 2268 AM) was the third-born son of Judah. Each of Shelah's two older brothers, Er and Onan, married an Aramaean woman named Tamar and then died. Shelah was thirteen years old at the time and apparently was not considered a legal adult. He ought to have married Tamar himself in another year and produced children for her to satisfy what was by then a double levirate obligation. But Judah was afraid that he, too, would die. So he asked Tamar to return to her father's house and wear widow's weeds until Shelah was an adult. This page was last modified on 15 June 2013, at 18:06.